OLD PARKED CARS. : 1965 International Harvester 1200. Awesome color, awesome hubcap. And the oversized towing mirrors? Yup. Awesome. Amazing, wonderful and cool. Congratulations on this find. Awesome color+patina, awesome hubcaps, and I love the one missing hubcap as well. Love the face on this one--reminiscent of later Jeeps. Nothing like old green to make a truck look good! Towing mirrors on old trucks=awesome. Not sure the hubcap is missing...would it fit over the 4wd hub on the rear? What makes me particularly happy to have these shots is that the truck must have suffered a collision a few days later because it hasn't had the driver side fender since then. Or maybe they're having the small amount of rust fixed? Industrial strength.... Cool beans! Good find Ben. 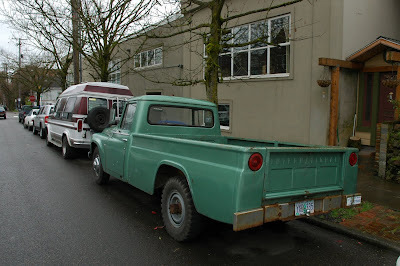 i was gonna say that i recognized that truck and how happy i was to see that the front fender had been repaired. then i read ben's comment and felt happy that he snapped his photo in time. the steel custom window repair is priceless. 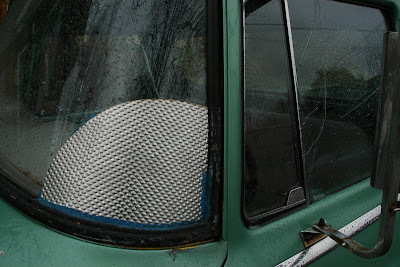 looks like the driver's roll-down glass is cracked, too, although it looks pretty flat and i bet could be replaced without too much headache. man, i freaking love seeing these old stock-size knobby tires. and look at that one little stripe of chrome trim on the door and how incredibly plain that box is out back. @taylor: glad you enjoy the blog. 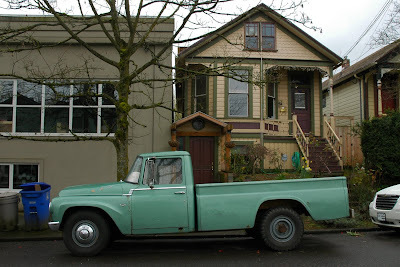 pretty much everything is just the cars that we (ben and tony) find and photograph on the streets of portland. 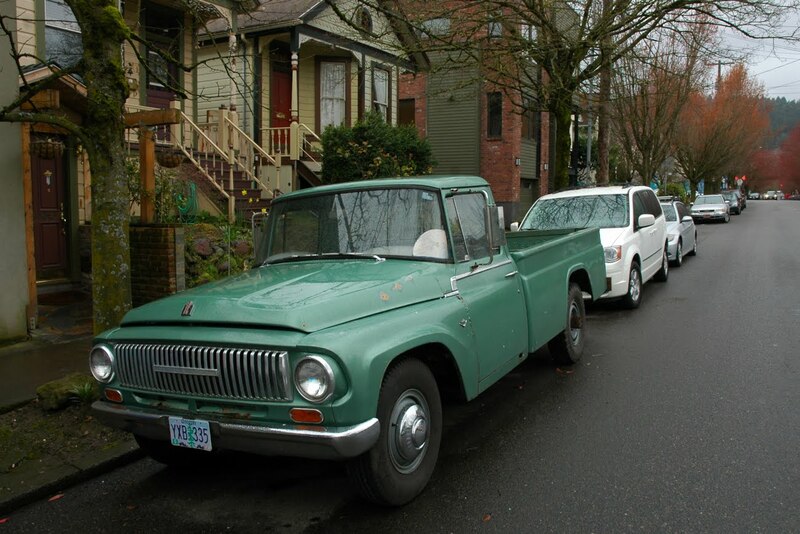 send anything you photograph to oldparkedcars@gmail.com, and maybe we'll run it!